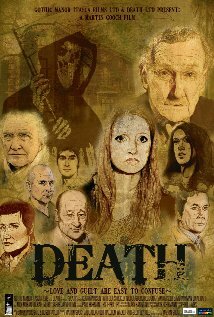 DEATH .... an up and coming premier! Update to the film 'DEATH'. Do check out the trailer [ see link below] and if you watch and blink you'll miss the two bits that feature my work! lol! But it has a really nice soundtrack, from the little I've heard, from Simon Woodgate, and if you know ways of spreading the word then please do Martin a favour and do! Now for something a little more esoteric [or something]. So there they are .... Now a shameful plug. Also seen for sale on Ebay ..... for even more dedicated completists [cough] there is an old fanzine I did some spot artwork for ..... this dates before the 'Fighting Fantasy' titles - Copper Toadstool 5, Vol. 3, no. 5. Lastly, just completed a couple of small pieces for Kobold Quarterly Magazine and will hopefully be able to publish soon. Till the next time.